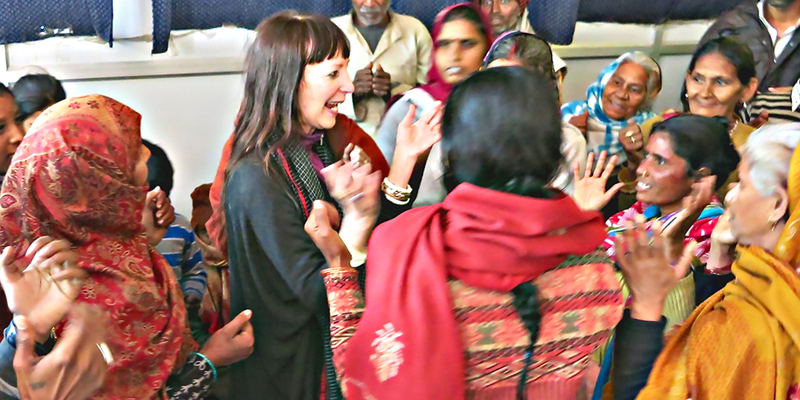 Serves girls, women, children, families and communities facing challenging life circumstances. Inspires positive change through self-care movement practices that restore vitality and cultivate joy. Addresses the gap in available health resources for marginalized communities to relieve the cascading effects of trauma. Offers restorative self-care tools to prevent burnout and rekindle enthusiasm, empathy and optimism. Builds bridges of understanding, and supports cultural diversity and tolerance as keys to world peace. 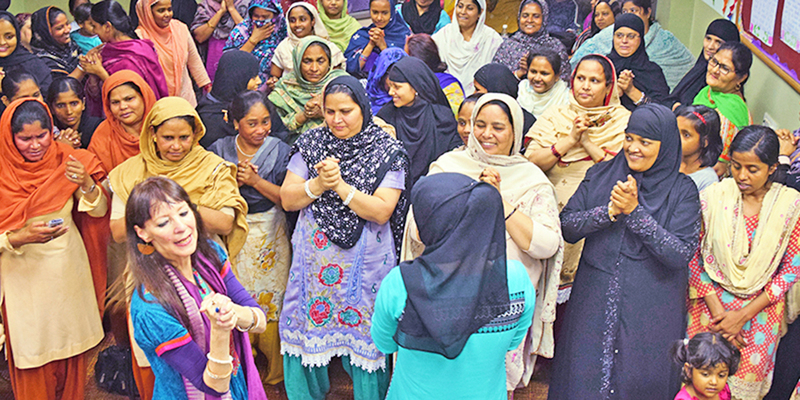 The continuous sincere efforts of our partnering organization,The Storydancer Project with Zuleikha has resulted in changing the perception of Basti women towards their health & well being. The women not only practice what they have learned but also encourage each other to continue with the exercises. These are simple movements that are relieving and empowering. I was stressed out when I came, and didn’t want to do the exercises. Now I feel so much better! •I love the implementation of the stories and the movements and how they tie together. 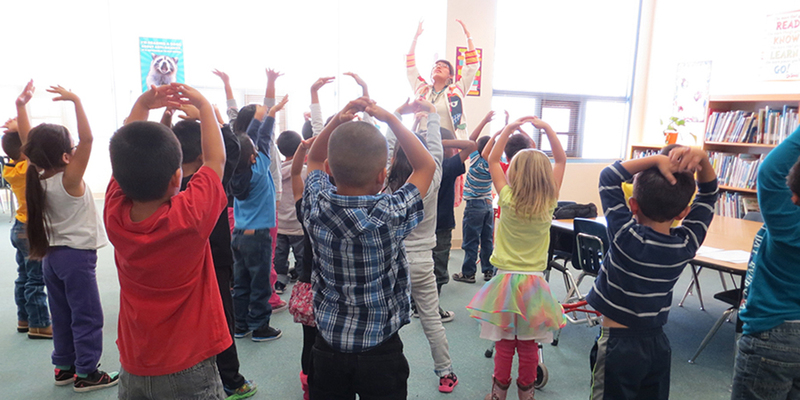 •The combination of sign language & Diné vocabulary helps the children to be more involved. •Students were very enthusiastic about this program.•The program should be in every class, every day. Zuleikha’s/The Storydancer Project’s program is a combination of science and art that uses the mind-body connection and invokes a kind of emotional catharsis that helps our patients with cancer and their family caregivers reduce their pain, stress and anxiety and in turn develop greater self-awareness, positive emotional well-being and positive self-image. GREAT NEWS! MATCHING GRANT FOR NM NAVAJO NATION PROGRAMS A SUCCESS! 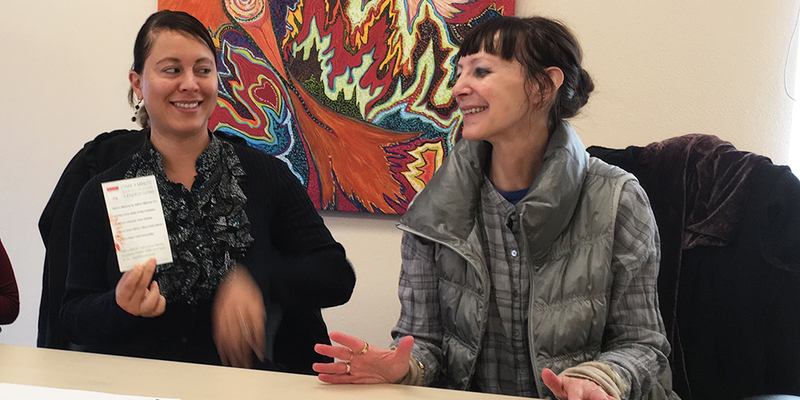 One of the strengths of The Storydancer Project (TSP) is that its programs can be scaled to increasing numbers of people and places—not only to broaden its size and reach but also to achieve greater impact and deepen the program. Take A Minute™ (TAM) restorative self-care exercise and movement model is the core element within all TSP programs. • TAM was designed by TSP founder and director, Zuleikha, as a user-friendly tool inherently adaptable to the needs of programs and people we serve. • TAM is implemented in collaboration with our partnering organizations. • TSP’s trained TAM facilitators meet needs and challenges in situations and environments where isolated programs are insufficient. • TSP’s scalability and replication, using the TAM innovation, ensures that challenges can be addressed on a large scale, and contributes to improved financial efficiency, data collection and potential for new opportunities.